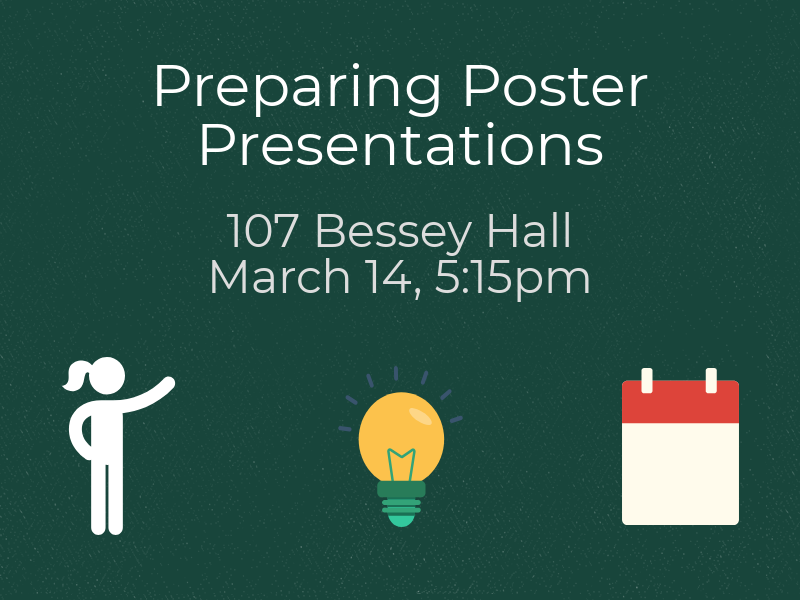 A presentation poster requires a very different approach than a research report on the same work. You need to be visually appealing, draw in your reader, and convey your purpose and findings in a concise, direct manner. Dr. Tom Wolff, Faculty Emeritus from the College of Engineering, has judged engineering project posters for many years. He will speak about layout, communication, and people’s perceptions of typeface and graphic design. Workshop participants will review examples of posters—both good and not-so-good—and consider common pitfalls. Discussion of the function of a poster session as a vehicle for sharing your work with visitors and judges will conclude the workshop.